You can either make uzhunnu vada and follow the steps below or follow an easy method. 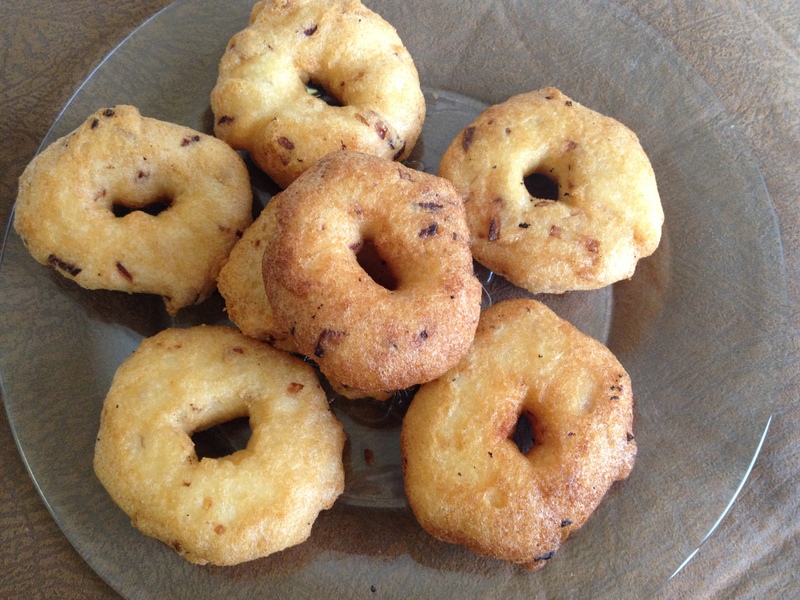 Easy in the sense, you don’t have to make vada shape; just drop spoonful of batter into hot oil. As soon as you take out of oil, drop it into a pan of warm water. Take out after few minutes and slightly squeeze out the water and keep on a plate. Whisk yogurt, water, sugar and salt. Check salt. Pour half on a serving dish. 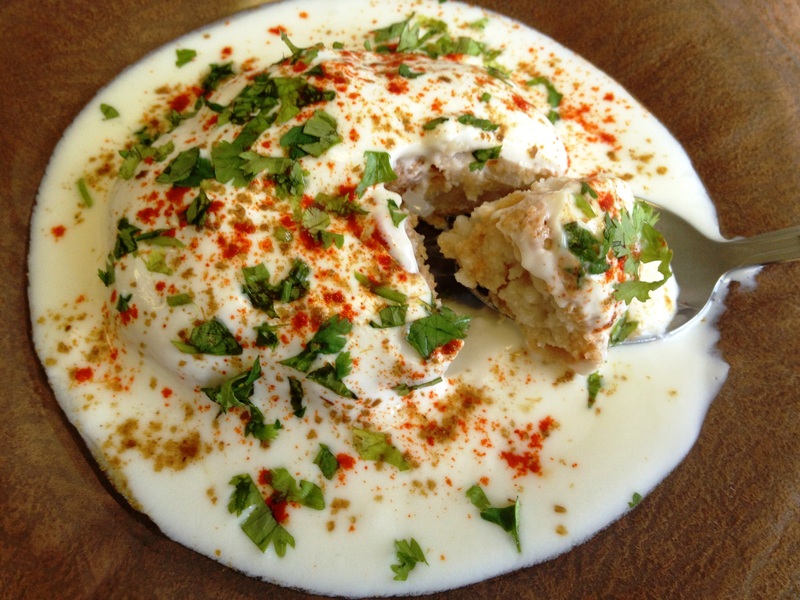 Place vadas on top and cover with remaining yogurt. 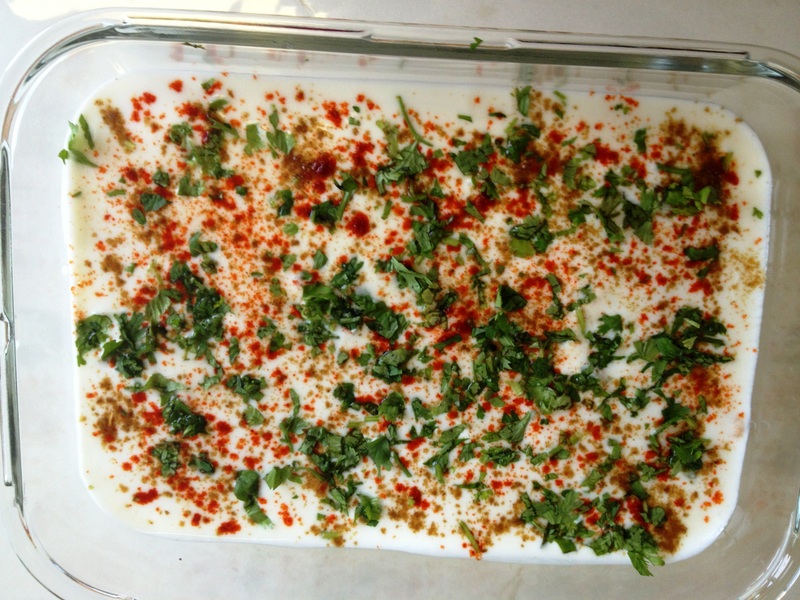 Sprinkle coriander leaves, chili powder and cumin powder on top. Soak urad dal in water for minimum 4 hours or overnight. Grind to a smooth paste using as little water as possible and transfer to a bowl. Mix the rest of the ingredients to the urad batter. Check salt. Heat oil. 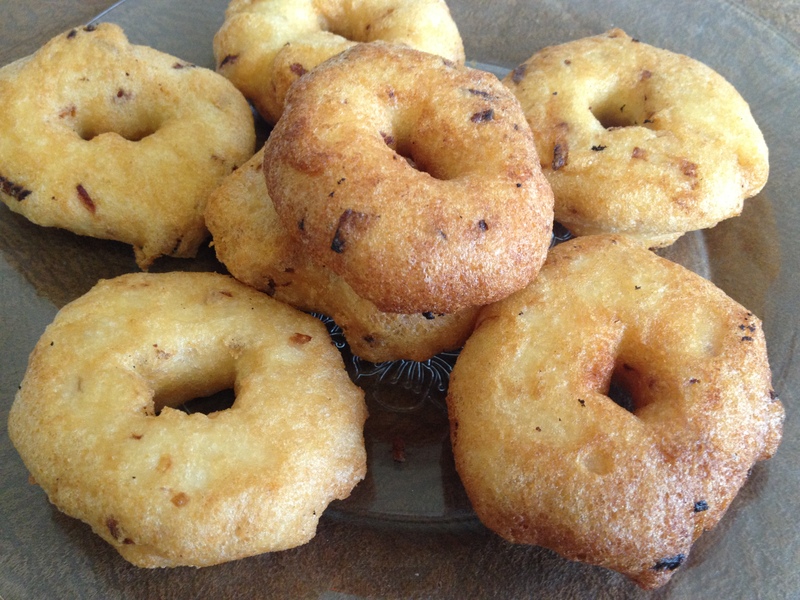 Keep a small bowl of water nearby to dip your hands while forming vadas. Wet your hands and scoop about 2 tbsp batter in your hands. Form a ball and place on your left hand. With your finger form a hole in the middle of the batter and carefully drop it into the hot oil. Flip to the other side when the sides start to brown. Notes: Grind the urad dal with coconut water if you have it handy.